Our games are coming thick and fast this week and we have another Championship game away at Morton on Tuesday evening, kick off 1945. 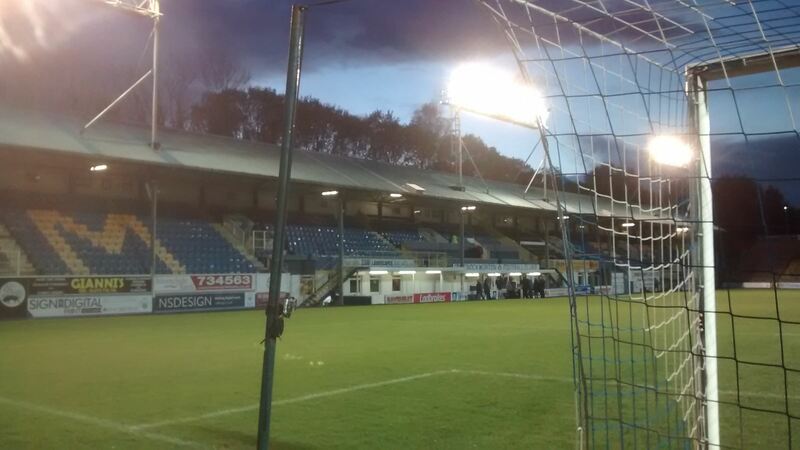 The hosts have issued the following information for Queens fans travelling to Cappielow. Supporters will be accommodated in Sections F&G of the Main Stand. Tickets can be purchased at the ticket booth beside the Main Stand turnstiles in Sinclair Street. Toilets and catering facilities are shared with home fans. Supporter’s buses drop-off and pick-up is East Hamilton Street (A8 dual carriageway) outside Arnold Clark showroom. Supporters buses can park free within the main car park accessed from the A8/Sinclair Street junction. Bus drivers must ensure they leave the main car park at least 15 minutes prior to the end of match to uplift supporters on East Hamilton Street outside Arnold Clark’s showroom. Car parking is charged at £3 and accessed from the above entrance. Please note that all vehicles (except coaches) will require to turn left on exiting the car park and travel south on Sinclair Street under the railway bridge. Drivers can then take second left (Weir Street) and follow road to the end. At T –junction, turn left (Gibshill Road) and re-join the A8 East Hamilton Street eastbound. There is no planned rail engineering or road works between Dumfries and Greenock which may affect journey times. Check www.scotrail.co.uk and www.trafficscotland.org for up to date information. The Main Stand is a no smoking area and includes e cigarettes or similar devices. Any person identified smoking will be ejected immediately. Fans under the influence of alcohol will not be admitted and are liable to arrest. Greenock Morton FC has a robust search policy which will be strictly adhered to. Surfing flags are not permitted and any other flags will be checked to ensure that they are not offensive or derogatory. Greenock Morton FC has a policy on unacceptable conduct and behaviour which will be fully enforced. Please note Greenock Morton FC will allow a drum or other suitable instruments into the stadium. It must be presented to a steward for inspection prior to entry. If the use of the instrument is causing a disturbance and affecting fan behaviour then it will be removed from the individual until the end of the match. Weather forecast for Greenock is apparently dry.